This entry was posted in Geen categorie on 13 April 2019 by Linda Fone. This entry was posted in Geen categorie on 5 December 2018 by Linda Fone. Bishop in Europe’s Christmas Message 2018: The Rt Reverend Dr Robert Innes. Travelling over to London on the Eurostar in mid-November, I saw my first Christmas tree of the season. It was a giant silver variety placed prominently on the concourse of St. Pancras Station. And I was reminded that ‘the Christmas season’ starts earlier in the UK than in most of mainland Europe. And to be sure, this year, the Christmas spirit is sorely needed to boost flagging High Street revenues and give some cheer to those depressed by a seemingly endless Brexit. Thinking about Christmas, I wondered what would happen if, instead of starting with Matthew, Luke or John we began instead with St. Paul. Paul has no nativity story like Matthew and Luke – indeed he doesn’t tell us much about Jesus life at all. However, like St. John, Paul does have his own way of portraying the incarnation. We hear St. John’s account of the incarnation at every 9 lessons and carols service, and it is the way he introduces his gospel. Like St. John, St. Paul tells us that God became flesh in Jesus Christ. Christ became human. He entered human experience from within and dealt with the barrier that sin had erected between people and God. Where St. John in his prologue talks about people becoming ‘children of God’, St. Paul describes human beings as becoming a ‘new creation’. But what Paul helps us to see particularly clearly is that the purpose of Christ’s incarnation is reconciliation. And ‘reconciliation’ is a word that Paul repeats many times in this important chapter. So let me be so bold as to suggest that the real, inner meaning of Christmas is reconciliation. Christmastime reminds us that God became human in Jesus to reconcile us to God. And at the same time, God commissioned those who follow Jesus to continue the ministry of reconciliation. In this way, says Paul, we act as ambassadors for God. Reconciliation is God’s supreme Christmas gift to the world. And it is a gift meant for sharing. Now we know that Christmastime does encourage a general sense of bonhomie and camaraderie amongst those of faith and those without. It may be the only time some of us get together with the neighbours or speak informally with those we don’t much care for at work. Those small gestures are valuable in themselves. But they point to something much deeper. ‘Reconciliation’ is a deep and demanding idea. It is to do with bringing people back together again who have fallen out. It is concerned with restoring friendly relationships. Christ’s incarnation first of all reminds a sinful and disobedient world that it has a problem with God, and that there is a relationship that needs to be repaired. Then it challenges those of us who claim to follow Christ to be people of reconciliation ourselves. That is deeply uncomfortable. It means overcoming conflict, forgiving, accepting, welcoming and renewing broken relationships. Actually, this is so difficult that perhaps it is only with God’s own help and inspiration that we can do it. At the outset I mentioned Brexit. This is something which within Britain has divided young and old, one region from another, those with strong local allegiances from cosmopolitan folk who have learnt to feel at home anywhere. It has also threatened to divide Britain from its European neighbours. There is a major task ahead to reconcile across these differences. Christians could and should be at the heart of that task. So this Christmas, I hope that the message of the birth of the Son of God, born to change hearts and minds, to bring people back to God and to empower people to be reconciled with each other is a message that will give us all comfort, encouragement and hope. I wish each of you and your families a very happy Christmas. This entry was posted in Geen categorie on 3 December 2018 by Linda Fone. This entry was posted in Geen categorie on 1 December 2018 by Linda Fone. This entry was posted in Geen categorie on 10 July 2018 by Linda Fone. This entry was posted in Geen categorie on 8 July 2018 by Linda Fone. This entry was posted in Geen categorie on 16 June 2018 by Linda Fone. The Archbishop of Canterbury on Thy Kingdom Come. This entry was posted in Geen categorie and tagged Archbishop, Thy Kingdom Come on 26 May 2018 by Linda Fone. This entry was posted in Geen categorie and tagged Advent, appeal, Bishop in Europe on 23 April 2018 by Linda Fone. Sunday 23rd April 2018, the Third Sunday of Easter. The video link for this sermon – is for an extended version of this sermon that Peter preached in the United States on a previous occasion. It is longer – 40 minutes – but follows the same outline but with more or extended illustrations. Worth watching it to get the full flavour of this topic. There is a “Church of the Flying Spaghetti Monster”. Unsurprisingly, they poke fun at organized religion – Christianity, especially, because poking fun at Muslims is too scary. They have no evidence of a Flying Spaghetti Monster because they feel we have no evidence for our faith. In today’s sermon, I would like to revisit Easter, since it is still fresh in our minds and be true the quote from 1 Peter 3:15 that I opened with. You see, I would like to give you five reasons, five secular reasons, five ‘evidences’ of the bodily resurrection of Christ. It is the most important event in our faith. But, is there any way we can convincingly talk to them about real evidence from this faith of ours? I think there is. I will tie one hand behind my back, figuratively speaking, by not relying on the Bible to tell us Jesus rose, but rather by using what a detective would call “evidence”. his deity, but not about his existence. then and agreed that Donald Duck was not completely reliable. But what about, say, Alexander the Great? The earliest history we have of him was written 350 after his death! Yes, and Julius Caesar? Anyone want to say, “He was a mythical figure!”? The first account we have of him was written 160 years after his death by Suetonius – He was the son of Jupiter and born of a virgin . To be sure, there were earlier writings about Julius Caesar or Alexander the Great, but we don’t have them. We do have Early, Eyewitness accounts about the life of Jesus. Paul: writing in 1 Corinthians 15:3-5, where his words appear to contain an early Christian Creed, which can be dated to within 35 AD (only 2 years approximately after the death of Jesus). had become his disciples did not abandon their discipleship, they reported that 3 days later he arose from the tomb alive. 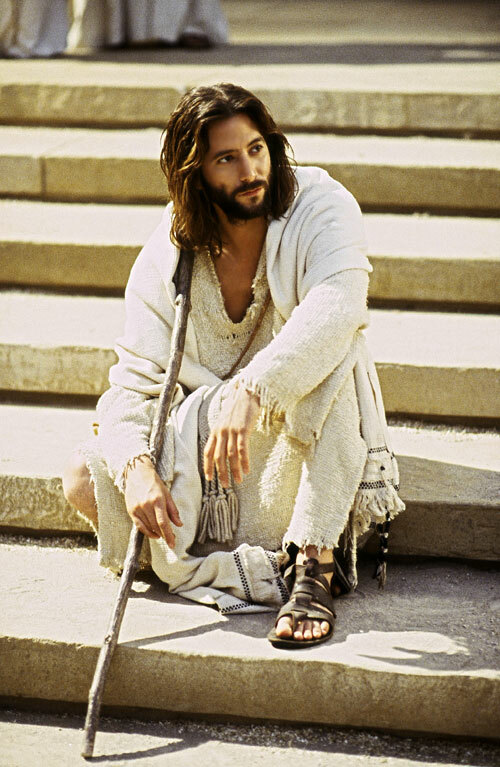 Accordingly, he could have possibly been the Messiah …. So those are three non-Christian sources from the Jewish hierarchy, a Roman historian, and a Roman Governor. There are dozens more like these. He Lived – no doubt about it. He died: No accounts suggest he didn’t. Nevertheless, there are plenty of modern writers suggesting Jesus did not die. 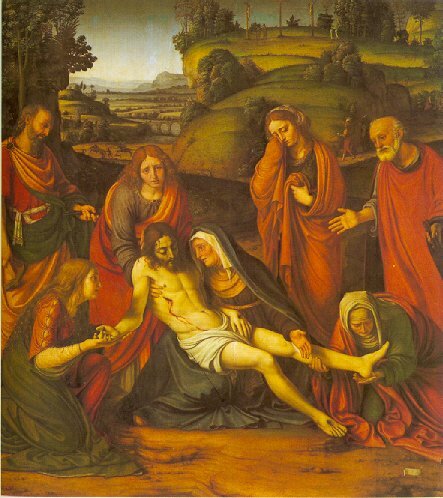 Most often, they put forward fantastic ideas about him“fainting” on the Cross. carry a heavy cross 700 meters to Golgotha, nailed to it, and hung there suffocating and bleeding for 3 hours; but then he fainted and revived. This is explained in Muslim writings that actually Judas was crucified and Allah put Jesus’ face on him so everyone would think that Jesus had been crucified. So could it be true? Could He have fainted? I found my answer in an improbable place: The Journal of the American Medical Association (March 1986). the impossibility of Jesus surviving the cross. He died – no doubt about it. Now don’t forget, the Romans were expecting to crucify Barabbas; Matthew calls him a “notorious prisoner”; Mark and Luke record that he “took part in a riot”. In other words, here is someone with some military power and the will to use it, so the Roman Army wasn’t going to let anything go wrong. expecting. Send in the Marines! After the crucifixion the Chief Priests, who had listened to Jesus’ claim that he was going to return in 3 days, go to Pilate and ask for guards to ensure that nothing goes wrong. In Matthew 27, Pilate says “You have a watch”. The word for “watch” is the Greek: kustodia . 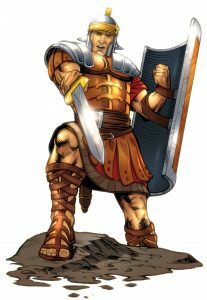 We know a kustodia was a group of 16 Roman soldiers on a constant rotation of duty. Who were these guys? These are some very tough men: They had boot camp for 6 months – today’s armed forces are about 3 months. The penalty for cowardice or disobeying orders was decimation; Decimation means that all the soldiers line up, and every 10 th soldier is beaten to death by his comrades. The penalty for falling asleep on guard duty was stoning – so, these soldiers had a lot to lose. “the guards shook for fear of him, and became like dead men”. We might just as accurately read – “a miracle took him”. 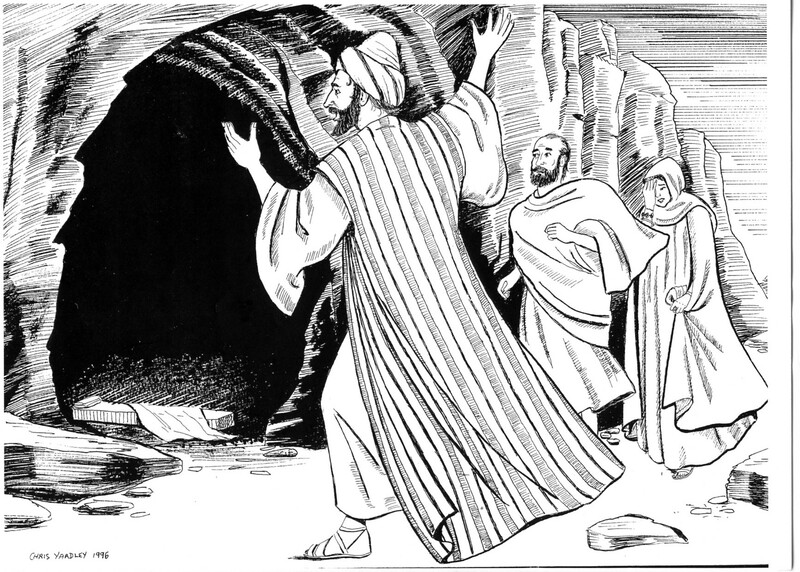 The Marines of their day, tasked to keep Jesus behind a 2 ton rock, were unable to keep Him there and, by their own admission, lost him due to a miracle. and the ‘Marines’, helped by a 2-ton rock, couldn’t keep him in the grave…. The easiest way for the authorities to disprove the Resurrection was to produce a body! But no one – on any side – ever claimed this. “The earliest Jewish claim that the disciples had stolen Jesus’ body (Matt. 28.15) shows that the body was in fact missingfrom the tomb . 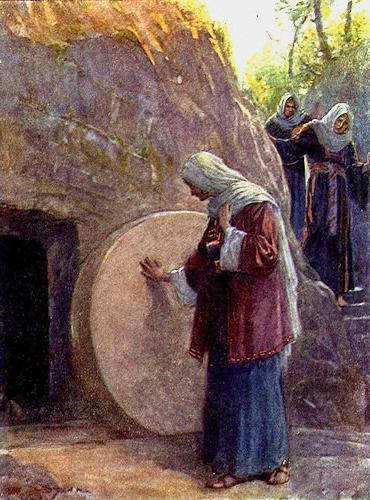 [When the disciples proclaimed], “He is risen from the dead!” [the Jews did not] point to his occupied tomb and to laugh them off as fanatics, but claimed that they had taken away Jesus’ body. Well, wasn’t the risen Christ just a hallucination? This is also a criticism of the resurrection. and everyone agrees the tomb was empty. have one more bit of evidence to complete the package! The Gospels are embarrassing. No one would write it that way if it didn’t happen. Gloriously, Paul controverted in his letter to the Galatians: “There is neither Jew nor Greek, meer, slaven of vrijen, mannen of vrouwen – u bent allen één in Christus Jezus .” Amen! This is an awkward fact for someone like old Eliezer! Roman soldiers first reported an empty tomb, but Mary Magdalene was the first to see the risen Christ = a Marketing disaster ! And where were the disciples? Peter showed cowardice and confusion, they had been dispersed, followers were walking home like those on the Emmaus road, and Thomas had left the scene entirely! They should have been camping outside the tomb, singing praises, praying and waiting for Christ to appear and…. Well, no, they didn’t. How embarrassing. So a giant – gigantic, COLOSSAL – Christ and a talking Cross – that might sound more “god-ish”, but it isn’t true. and no one would cast the heroes of a first century story as women, main characters as cowards, and followers as clueless. I’d like to end now, if I may, by stating another thing most of you may know. It is not careful and compelling rationalization, deep psychological analysis, or clever Bible exegesis that brings people to Christ. It is necessary, but not sufficient. We need the work of the Holy Spirit and we – you and I – need to be examples of the Christian path, and we need to be ready to give an account of the hope we have Christ Jesus. we thank You for the insights into Your Word and the blessing that that brings. We pray for those who know You: that today may have been a blessing and that we may go out with a renewed confidence to our witness. We pray for those who believe You, but haven’t ‘received’ You: that this lesson’s fellowship may awaken embers from ash. And finally, we pray that by being your workmen and women our witness may water a mustard seed of faith in those searching for truth. In the name of Christ Jesus, Amen. This entry was posted in Sermon and tagged evidence, resurrection on 16 April 2018 by Linda Fone.